One of the great flaws of the weblog format is how older information, no matter how good it is, fades away under the deluge of new posts. 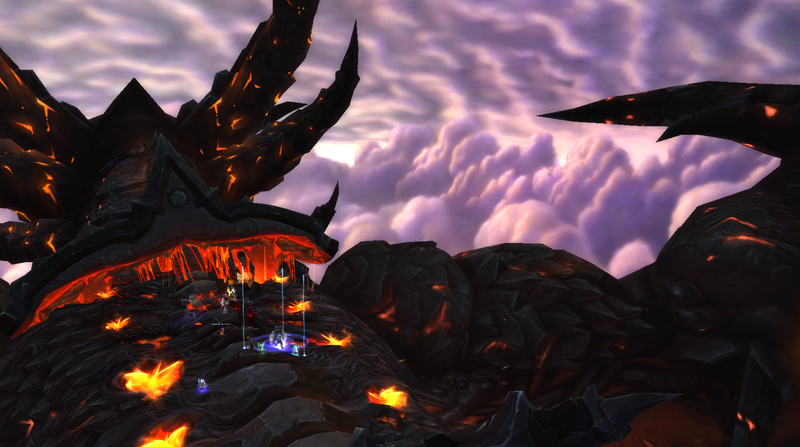 As Mists of Pandaria launches next week, I thought it appropriate to take a look back over Cataclysm before everything gets buried. This post has a secondary motive. I am going to take a bit of a vacation from Cynwise and recharge my mental batteries, so this blog will be on hiatus until 2013. Since this weblog is pretty big – I write a lot, okay – I thought putting a map for new visitors up at the very top of the front page was the best way for me to leave the store unattended for a while. So let’s start here, at Cataclysm’s end. In 2012, I wrote a book called The Decline and Fall of Warlocks in Cataclysm. It didn’t start out as a book, but rather as a series of posts analyzing why warlock populations were falling. An unpopular class was growing less so: why? The core thesis of Decline is that warlock populations declined because of Inelegant Complexity without Reward; that multiple factors lead to players either abandoning the class or the game entirely. This thesis was debated in comments, in forums, in emails, and even in Blizzard development team meetings. It was, and remains, a contested theory, but it’s one that I absolutely stand by. Decline framed the discussion around the future of warlocks at a critical time in their development in Mists, and I think the class dev team did a great job with fixing the problems of Cataclysm. I would love to share more of the stories behind this, like getting emailed by Xelnath while at my kid’s soccer game and going, okay, this is only the second strangest email I’ve gotten from my blog, or arguing with my editor Narci over whether a tangent was worth exploring (it almost always is.) I’d love to debate more about if Demonology should be a tanking spec (yes) and the challenges that have to be overcome to make that happen (itemization, player resistance, tank balance, active vs. passive mitigation strategies) – but alas, there is no more time. Mists is here, time to move on. I’ll have to share those stories over tacos or something at Blizzcon next year. If Decline was the most important post I wrote in the past year, I think my best post was something totally different – On Snow Crash, Virtual Avatars, and Warcraft’s Social Network Appeal, which I wrote back in January. The “Snow Crash Post” (and its followup) was born out of a frenzied realization where I could see how Twitter and Facebook had irrevocably changed the MMO landscape, and that doing stuff with your friends is the whole thing now. 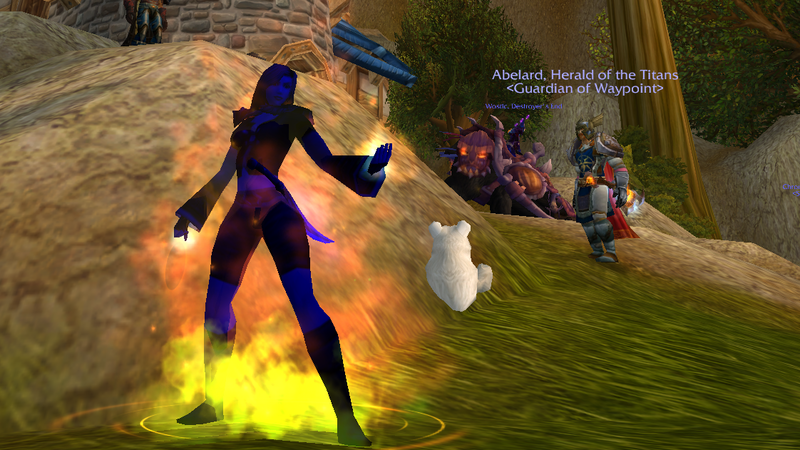 Ghostcrawler said “playing with your friends is the sleeper hit of Mists of Pandaria,” and I completely agree. So many changes have been made to Warcraft to enable this simple thing that I can’t help but add two more predictions to the Snow Crash list: cross-faction grouping will become a thing, and Blizzard will license the Battle.net API infrastructure. Topological Battleground Maps – inspired by the London Tube map, I depicted the logical flow of the various battlegrounds instead of the terrain in maps. (Developed here, refined here and here, seen all over.) In many ways, this map style was essential to my future writing on battlegrounds – I needed a better way to explain what I was talking about than just marking up maps. Resurrection Vectors – BGs are won and lost by controlling graveyards, but the why and how is hard to explain if you don’t have a way to describe the way troops move when their killed. Starting with Arathi Basin and Alterac Valley, my posts on Graveyard Control and Rez Vectors looked at a lot of the battleground maps before I stopped. If you want to know why you don’t take the South Graveyard in Strand or why graveyard camping works, you should read these posts. Relentlessly Positive Attitude – More than maps and theory, what I hope my writing about PvP accomplished was to inspire people to do better. To try those things they thought they couldn’t do, to find fun in things that they thought were too hard. That’s why I kept writing for so long – I really enjoyed teaching people how to play, and I hope I inspired them to have fun. You’ll see this attitude in posts like my guide to The School of Hard Knocks (wow, is that old!) 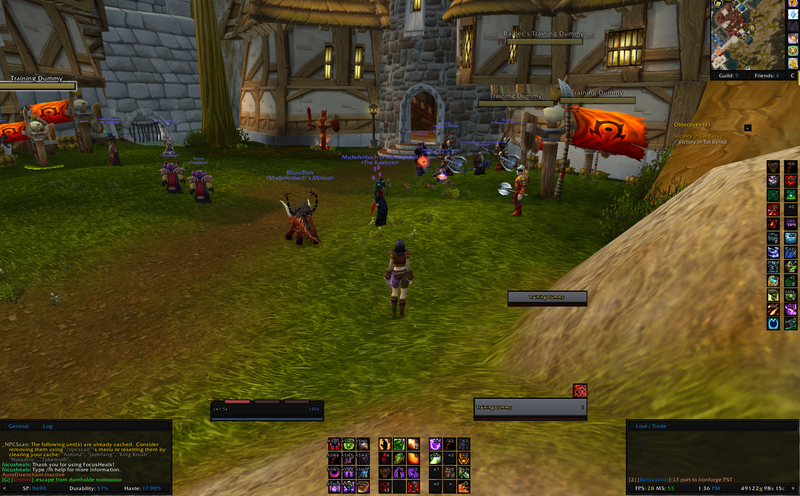 or How To Win Tol Barad – where I had to take my own advice, knuckle down and figure out how to win that damn thing. But you’ll also find it in my passionate defenses of Healers Have To Die, talking about disposable heroes and iterative twinks, and even the ever popular PvP gear guides. PvP can be fun. Just don’t give up. You can do this. Keep on trying. 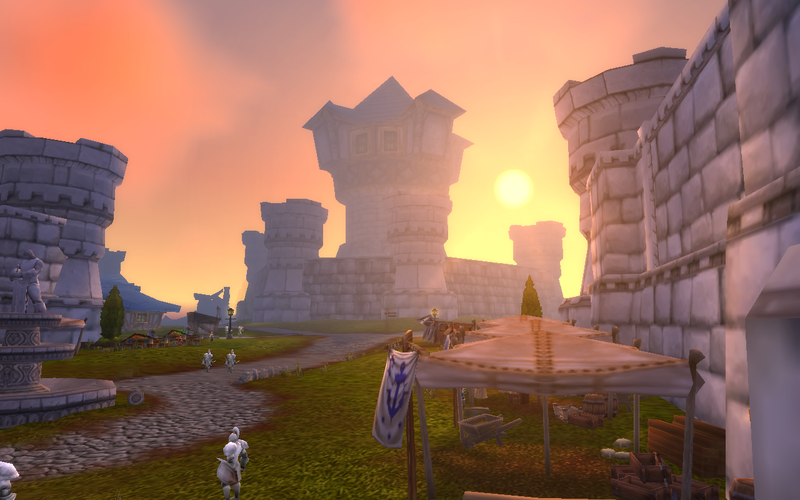 There are other PvP posts which I think are worth noting – The 20 v. 24 War looked at the impact of Stater Edition twinks on the 20-24 bracket, The Battle for Gilneas is a straightforward guide to the best battleground of Cataclysm are both standouts – but I think it’s also important to remember the things which didn’t go well in PvP, like the rating exploits which caused so many problems in S9-S11, the increasingly hard PvP reputation grind, the repeated attempts to make Rated Battlegrounds popular, or the S9-S10 gear transition fiasco. 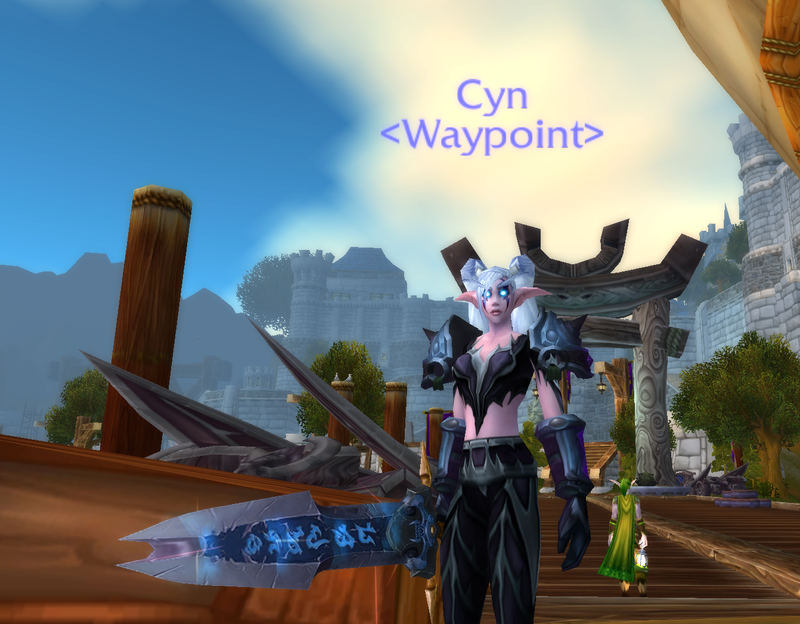 Actually, that last post about the S9-S10 PvP gear transition is a good one to stop and reflect on for a bit. getting seriously pissed about that S9-S10 gear transition. You could look Cataclysm as an arc in my weblog: starting with Blizzard Killed My Dog (I still love that title), to a nadir at On Priorities, Elephants, and Desire, and then up to the Decline and Fall of Warlocks in Cataclysm. This has been a story of someone losing his way and finding it again. 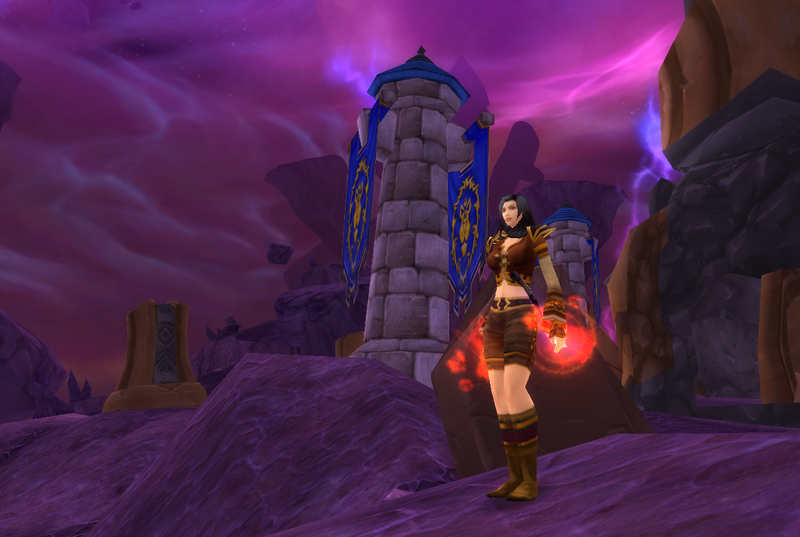 The way back was through an experiment I started right after the one-two punch of the elephant post/S9 transition, Cynwise’s Field Notes, an experimental weblog where I stopped writing about warlocks and PvP and instead wrote about … whatever the hell I wanted. It was liberating. Instead of the long, researched, carefully considered posts that went up on the Battlefield Manual, I adopted what were to become my Five Rules for Cynwise’s Field Notes, where I stopped obsessing over every little detail and just hit publish. Post after post came out, some not very good, others that I think were quite groundbreaking or prescient for the time. I was really honored to receive several nominations for the 2011 Piggies on MMO Melting Pot. I was even more blown away by not only receiving several honorable mentions, but also winning the 2011 Most Memorable Blog Post award for my CFN post, On the Forsaken. That post not only led to On Blogging Heroes (in response to the Piggie award), it inspired several entries in the Blizzard Global Writing contest, including one of the 2011 Finalists, Daughter of Lordaeron. This, in turn, led to me picking the thread back up again in On Silverpine Forest, which lands me right in the middle of the Forsaken storyline and embracing the cause of the Dark Queen. There are a lot of standouts from the CFN days; take a look through the CFN tag on this site, or visit the original site on Posterous if it’s still available. (I moved the posts back to this site because I had, frankly, too many sites. This decision seemed really wise when Posterous’s future came in doubt after the company was acquired by Twitter.) Some of them, like On Digital Detritus and the Merit Badge post, are still really applicable as we head into Mists. I’m not going to lie, I kinda miss that website now. I don’t really know what will be involved in this break. There are no hard and fast rules in life, just guiding principles like “don’t give up” and “put first things first.” I have been Cynwise online for almost 4 years now. We’re comfortable friends, she and I, even though I’m a middle-aged married father of two and she’s an ambitious warlock from Northshire in a video game. I, the person behind Cyn, who’s the player and author behind Cynwise, need a bit of a break from all those layers. I might set aside my Twitter for a bit as Mists gets going, I might not, who knows? I sure don’t. Thank you very much for reading Cynwise’s Warcraft Manual, Cynwise’s Battlefield Manual, Cynwise’s Field Notes, Green Tinted Goggles, Punt This, Go Mog Yourself, The Adventures of Sparkbinder Cynix in the Worldbreaker’s Shadow, The Warlock Is For Burning, and the continued insanity which is @wowcynwise’s Twitter feed. (Dear LORD that is a lot of weblogs, did I really do all of that?) I really appreciate it, and hope that you’ve enjoyed what you’ve read. My BattleTag is Cynwise#1158. I’m still planning on playing, but will be quieter on the internet – so please, keep in touch. Be good to each other, and enjoy the pandas. I am in a period of UI experimentation and decided to give ElvUI another shot. Having wiped everything out and going back to the basics leaves me with nothing to lose if it decides to take out my keybinds again, so I figured I’d give it a shot. I’d pretty – I’ll grant it that – but the fonts it uses are terrible. It even rewrites the default font used by the system, so that when you disable ElvUI the character nameplates use a cramped PT Sans Narrow instead of the Friz Quadrata TT that has been a hallmark of World of Warcraft since 2004. So I was fiddling with it this morning and couldn’t for the life of me change everything in the user interface. The TukUI forums suggested a set of alternate addons or modifying the LUA but I started going, wait, what, why all this just to fix the fonts? Then I figured the right way to fix it, as with anything on a computer, is to get into the command line and write a shell script. The following script removes all of the fonts that ship with ElvUI and replaces them with symbolic links to a font of your choosing. I chose Friz Quadrata TT, which I downloaded and placed in my ~/Library/Fonts directory. The symlinks fool ElvUI and World of Warcraft into thinking they’re using the ugly default fonts, but the files they pull up are the font you directed them to. Use at your own risk. No warranty provided, this has the RM command in it so it deletes crap, only works on my computer, etc.. I might try some different fonts – Friz Quadrata looks nice at the larger sizes (8+) but it’s not the best display font for the teeny tiny buttons and chat windows. That said, it’s an improvement over the defaults.